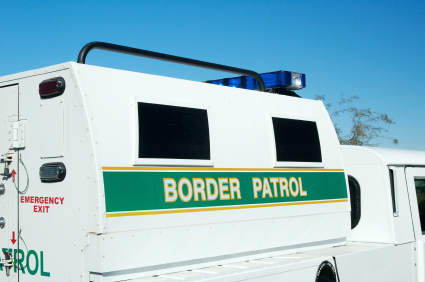 A Border Patrol agent who was injured in a two-car accident while responding to a call in his government-issued SUV Thursday morning collapsed while trying to help the driver of the other car in Corpus Christi, Texas, witnesses told KRIS TV. Immediately after the crash, which appears to be the fault of the agent for not yielding, the injured agent tried to help the driver of the other car, KRIS TV wrote. “The Border Patrol agent pretty much jumped out of his vehicle, the one that’s right there, run around and check on this man right here,” witness Clay Lauer said. Both crash victims were sent to hospitals but are expected to be OK.
Posted: 2/22/13 at 9:02 AM under News Story.